The book of Philippians invites us to live a life of joy right now. Right where we find ourselves – whether it be in lack or abundance, in persecution or in blessing – Paul calls us to a life of rejoicing in who God is and in His activity in our lives. Philippians is an invitation to wholeheartedly pursue Jesus and to be found in Him. This 2-week study will lead you toward the experience of rejoicing in the journey of life, faith, and transformation. The full-color study guide is 5.5 x 8.5 and spiral bound. This study guide is perfect for personal study as well as within a group setting. 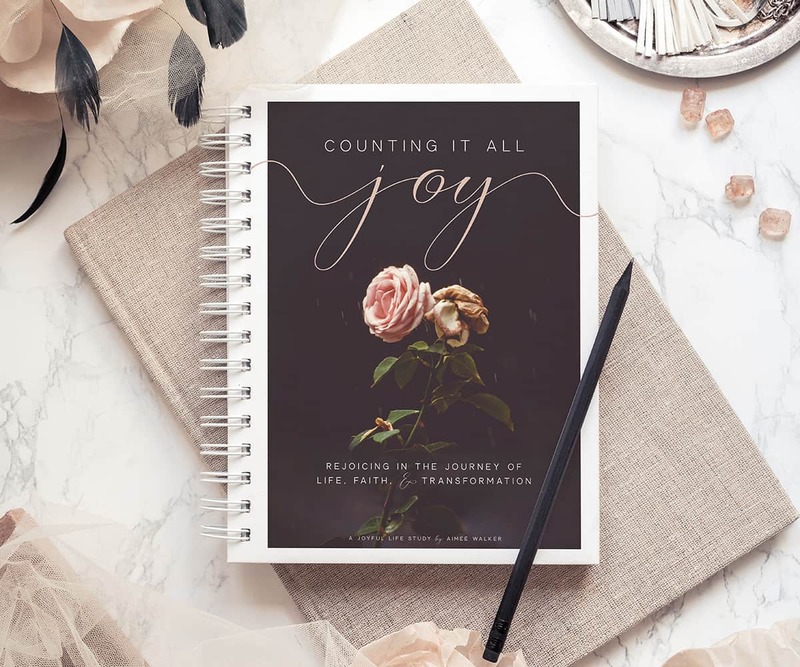 Each day of the study, Aimee guides you through scripture reading, in-depth teaching on the daily passage and a time of reflection, and then leads you toward personal application of the teaching through response questions. JOIN US IN THE JOYFUL LIFE COMMUNITY GROUP ON FACEBOOK AS WE STUDY AND GROW TOGETHER | AUGUST 13TH THROUGH 24TH. The community group study will include additional daily teaching and encouragement (both written and video) by Aimee! ORDER DEADLINE FOR COMMUNITY GROUP STUDY | Print study guides MUST be purchased by JULY 30TH in order to ship in time to arrive for the group start date of August 13th. Print orders may be placed after July 30th, but the study guides will not be delivered in time for the group start date if order beyond the 30th. If you would like to participate in the community group study and you have missed the print order cut off — you may wish to purchase the digital version instead.